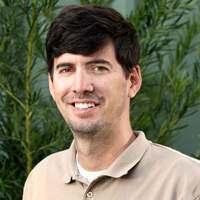 Ellis W. Bullock IV started Outerspaces LLC in June 2006 after graduating from Auburn University with a degree in Horticultural Landscape. In just over a decade of service, Outerspaces has quickly risen to become one of the largest and most respected landscaping services in the Pensacola Bay Area. At Outerspaces we are client-centered with an outlook of enjoying the clientele relationship long-term. Our number one goal is to help our clients create and maintain beautiful landscapes while reducing the impact on the environment. Whether you are interested in landscape design and installation, maintenance services, seasonal color, or hardscape services, our professional designers can help you create anything you desire. Parker Payne joined Outerspaces in December 2012. Since then he has become General Manager and part owner of the company. 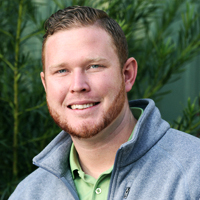 Parker is from Meridian, Mississippi and went to Mississippi State University earning a Horticulture and a Landscape Contracting degree. Parker has wide span of knowledge from being Perennial grower. His field experience is vast enabling him to overcome challenges in the landscape. Anne Brewer started designing for Outerspaces in 2008. 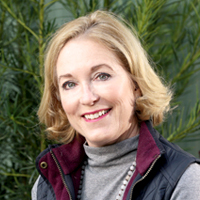 Anne is a past master gardener, a certified horticultural professional in the state of Florida, a member of the Association of Professional Landscape Designers, and has completed several programs in landscape design. Her goals are to instill in people a love for natural beauty and to assist them in realizing their landscape dreams. Our “go to man,” Allen Nelson of Pace, Florida, has been the Maintenance Operations Manager at Outerspaces since 2011. In this position, Allen not only oversees the maintenance crews and scheduling, but also plays an important role in building clientele relationships. For Allen, there is no better feeling than taking someone’s indistinct outdoor property and transforming it into an enjoyable space. A Pensacola native, Matt Holzworth joined Outerspaces in July of 2017 as the assistant maintenance manager. 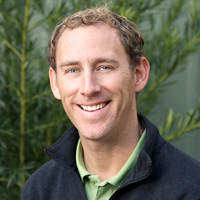 Matt earned his degree in environmental horticulture in 2007 with an emphasis in golf and sports turf management. Following his degree, he started his own lawn maintenance business and gained hands-on experience as owner/operator. 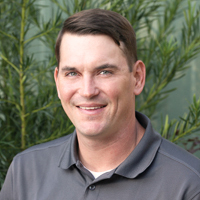 With his education and years of working in the lawn maintenance field, Matt looks forward to keeping Outerspaces’ properties looking their best all year long.